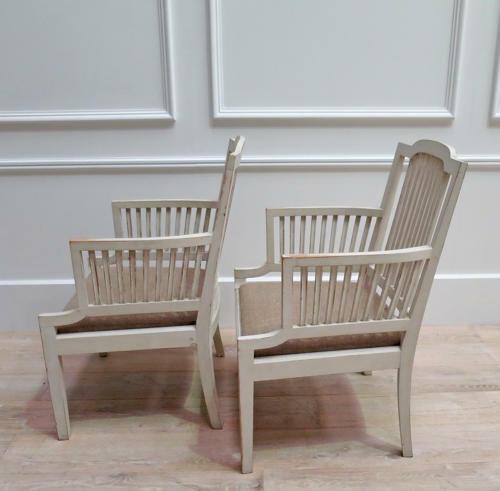 A Pair of 20th century Swedish Armchairs with slat-back sides and backs in the Gustavian Style. Seat are upholstered in old French Linen - the chairs are the correct height to sit at a dining table or as an extra pair of chairs in a sitting room. Simple in design and comfy.